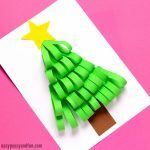 We love when things are simple and cute, and this is most certainly true for these adorable fingerprint Christmas tree cards. 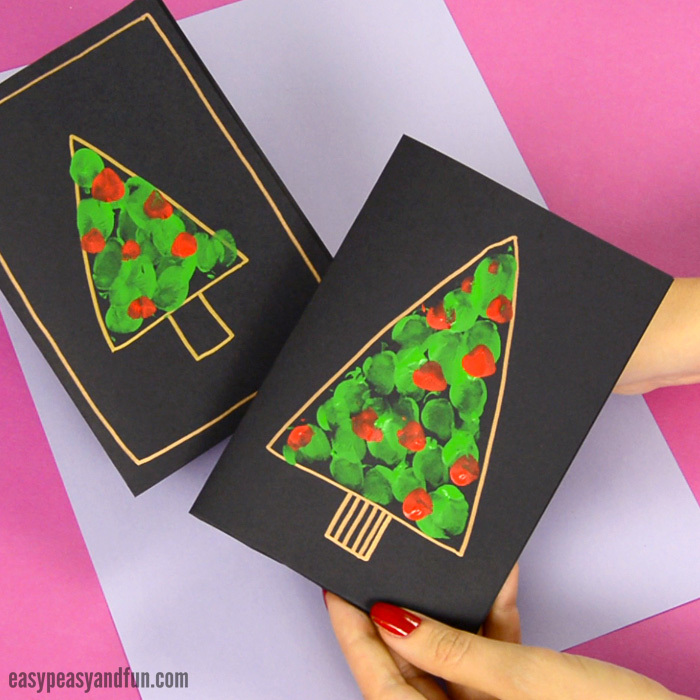 DIY Christmas cards don’t need to be complicated to look gorgeous. But we do love it when they have a bit of a shine (enter gold metallic markers) and a personal touch, especially if they are made by kids (and here’s where the fingerprints come in). 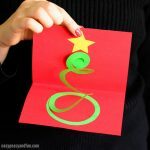 Homemade Christmas cards are fun both for the maker and reciever of the card, in my honest opinion. 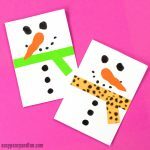 I do cherish each and every card I receive, but the ones that were made with love are the ones that bring a smile on my face and manage to get saved in my drawer for years and years to come. They are special… They hold memories. 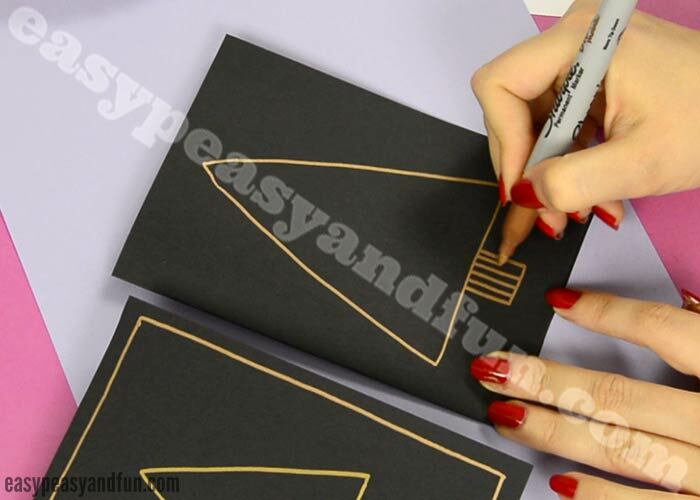 This fingerprint card is perfect to make together with your kids, it can be a suitable project to make with kids as young as toddlers (you make the drawing and they provide the fingerprints) while older kids will be able to complete this one on their own. Not sure about painting with your fingers? 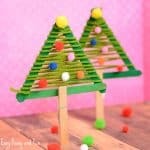 You can use wine corks, cotton swabs, stamps or sponge brushes (or any other painting material you can think of). Glitter, gemstones and other paint is more than welcome too! 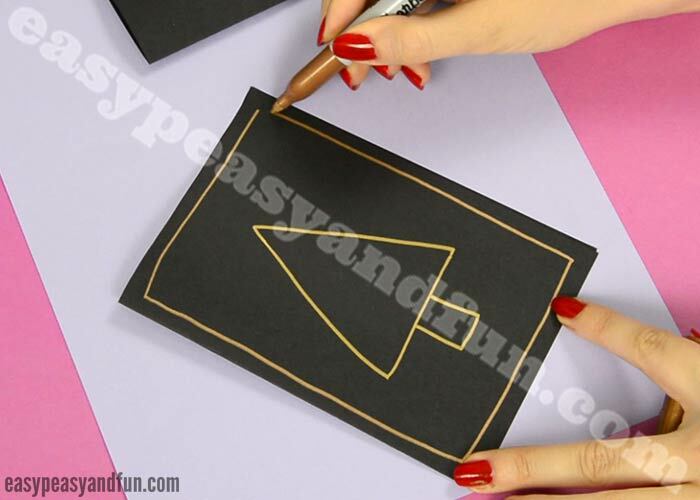 With a gold or bronze metallic marker draw a Christmas tree and, if you wish, a frame around it. Add some details on the tree trunk to make it stand out a bit more. 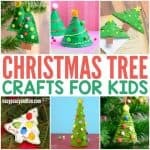 You can also draw a star on top of the tree. 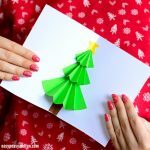 Dip your fingers in green paint and press them on the card, filling the Christmas tree. 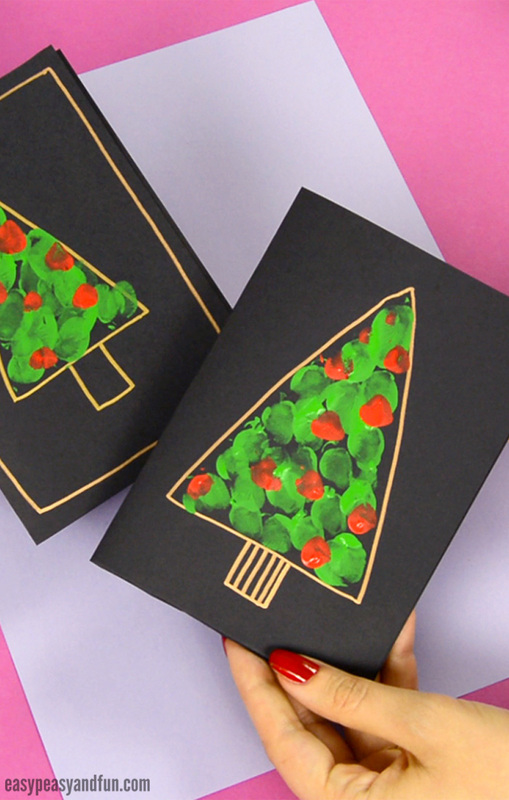 Now dip your fingers in red paint and press them down on the card, here and there, to make baubles. All done! 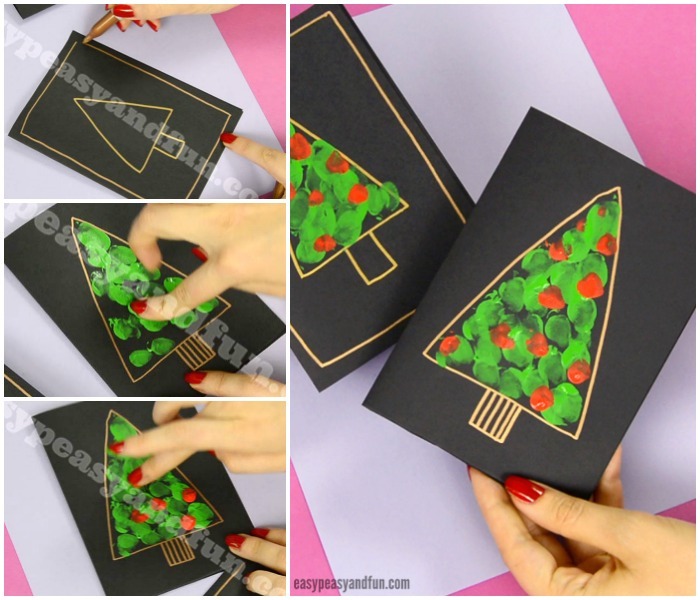 You now have the most adorable Fingerprint Christmas Tree Card ready to send to friends and family.